My friend had a complete post like that in 26.2, If he still has it it was in a plie of parts he was about to donate to the Bike Kitchen so he probably wants little to nothing for it, but I'll check. I’m all set. Thanks anyway. I’m looking for clamp on Simplex SLJ shifters. I have Campy bar end shifters with housing and cable stop. I have a bunch of other stuff if that doesn’t work. I may also be interested in SLJ derailleurs. Thanks! Ditto. Headset was in todays mail. Happy with it all. Thanks. 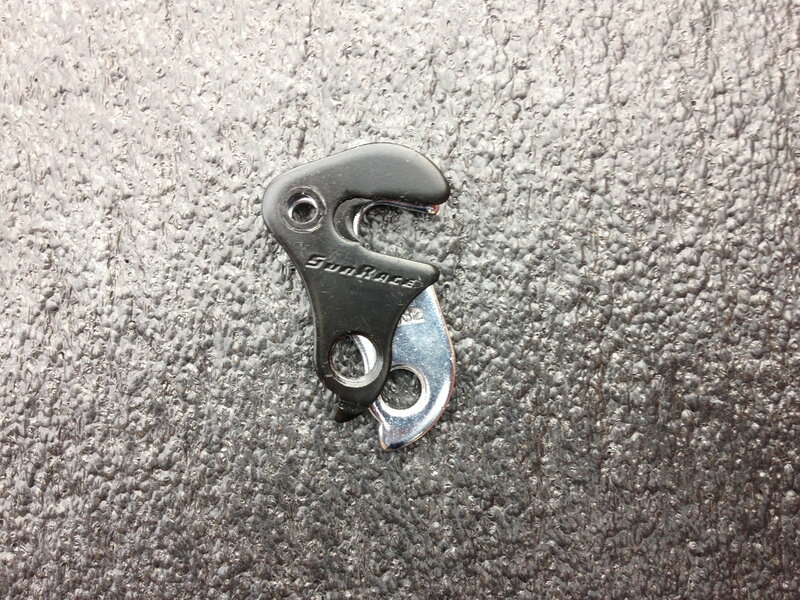 ISO a longish rear derailleur claw. I have the one in the link below and it works fine but I want a longer one. I have a Cyclone GT that is supposed to work with a 34 tooth cog with a 32mm or longer hanger. The hanger I have is definitely not long enough. I have one that is available, but I need to know how you are measuring the length to see if it will solve your problem. I will get back to you on that. I don't know how they were measured but I will measure the current one center to center on the holes and post. Thanks a bunch for being willing to check. I think this will work. Here is a photo that makes it clear. The bracket you linked to is marked 27mm on the back side. Looks like it is marked 32 as well. I'll send you a DM to get the process going. Thanks a bunch. Thanks for the info. Are the 32mm still available new? The only ones I could find are the 27mm. ISO: 7 speed freewheel in nice shape 12/13 to 26/28. Have: 6 speed freewheels both standard and Ultra spaced, from 13-21 thru 14-28. Let me know what you're looking for. EDIT: I went ahead and bought a 13-28, so I'm good to go. Last edited by Ex Pres; 12-10-18 at 07:56 AM. Sunrace 7-cog freewheels are readily available in both 13-25 and 13-28. I've used both for years. Dont know, but I will look when I get back to the house. have 2 7 speed FW but not what you requested. A Suntour 12-24 and a Sachs corncob. Sorry! Have: A couple 28.6mm, and one 31.8mm of the same. 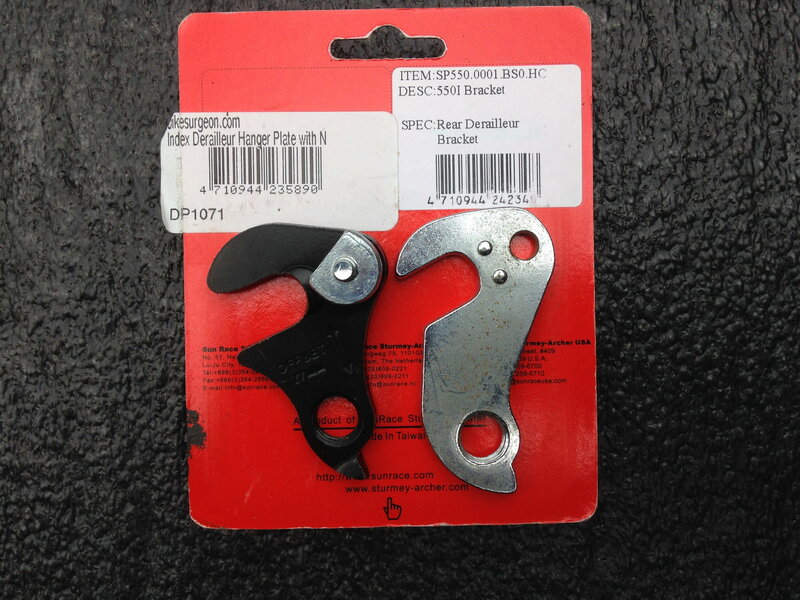 Edit: This style of derailleur and clamp. Last edited by wesmamyke; 11-30-18 at 05:21 PM. I'd be willing to trade something for a "kit" of the Campy 10-sp bar end shifters converted to DT, with the backing plates. I'm just way too ignorant of the conversion, and too old to remember if I knew it. I have wheelsets, some stuff (listed in FS section). Rear Derailleur: Suntour Superbe, late 70's. Front Derailleur: Suntour Superbe, late 70's. Crankset: Suntour Superbe late 70's, or DA7200. Bottom Bracket: English for same crankset. 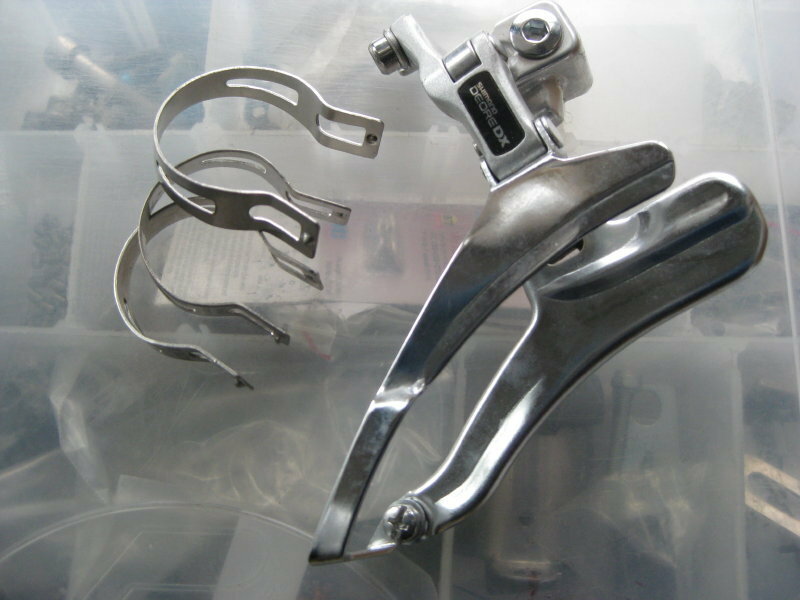 Campy NR shifters on Campagnolo clamp band. Campy NR FD on 28.6 clamp. Alan aluminum fork. 700c. Measurements available via PM. Last edited by RobbieTunes; 12-08-18 at 11:56 PM. ISO: 700c rim, 48h, with hooked bead seat. 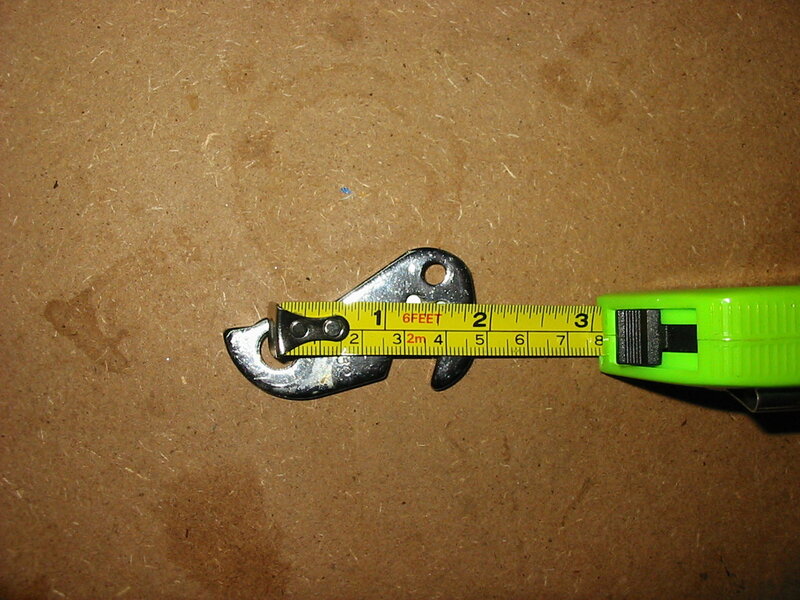 I have a Weinmann concave one, NOS, but the bead is not hooked. 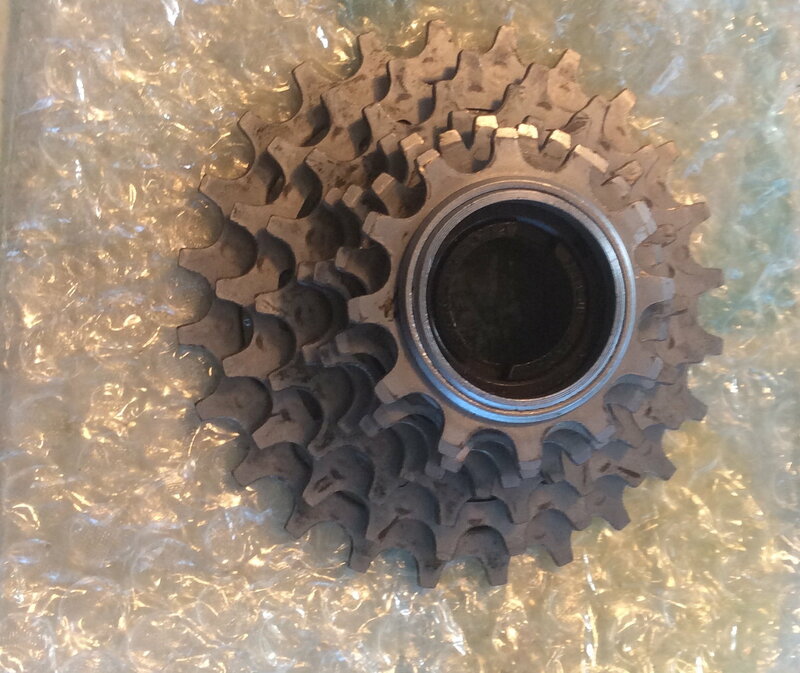 This could be just down my alley: I bought a new 7-spd FW on eBay called "DNP" Shimano and SRAM index compatible 13-28 for a friend's road bike that I'm re-furbing but clearance is a bit too tight for the 7 cogs. Would be happy to swap for a Shimano 6 speed 13-28, preferably from the 'twist-tooth era". LMK if you have one. well, I broke down and have a 13/28 sunrace heading my way from eBay. I'll look, but I think the closest I have is a 14/28. Followup: it's a Suntour 14/28, not twist-tooth, either. Last edited by Ex Pres; 12-09-18 at 05:37 PM. I'll keep that in mind, not sure what will be best cause he's kind of married to index-shifting and that's what the 7-sp was supposed to provide but I thought maybe a Shimano -spec 6-sp would work with a "ghost shift" at the end. Might have to re-think the shifter expectations. Thanks again. ISO Mafac straddle cable, rear pivot bolt. I've got a front that I want to convert and that needs a straddle cable. if I understand correctly, you're using a 6s shifter? 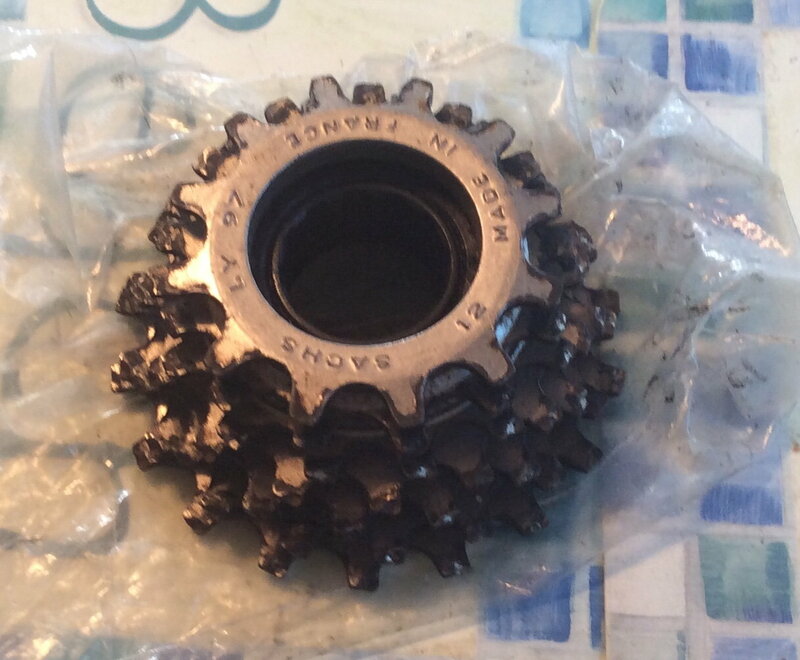 The 7s freewheel wasn't going to work, as it has 5mm cog spacing. A 6s shifter shifts ~5.5mm cog spacing. But you could use a 7s shifter with a 6s ultra-spaced freewheel. I'm setting up one of those right now.